It's once again time for England’s biggest festival to do what they do. The Glastonbury Festival has been bringing top acts to the masses since 1970 and supports a number of worthy causes. This year's lineup is once again a massive variety of big names. The Chemical Brothers will headline the Other Stage while other DJ and dance acts will be rocking out the Dance Village in one of seven different areas. The East Tent being the biggest venue will be headlined by Glastonbury vet Fatboy Slim, Ninja Mr. Skruff, and Tech king Carl Cox. 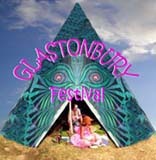 Glastonbury Festival will be held from June 22nd to the 24th. Check the official site for the complete lineup and details.